Dropping out of the sky like a meteorite during the VGX, No Man's Sky is the game that's seemingly captured the imagination of every video game enthusiast on the planet. But, aside from the amazing trailer, there's not a whole lot known about Hello Games' cosmically ambitious game. Here's the info we've found scattered about the galaxy. In interviews with various websites, the devs at Hello have mentioned that players will be starting at the edge of space heading to the center of the galaxy. It'll be the same universe for all the game's connected players but individuals will be able to blaze their own trails with consequences that will ripple outward. Grant [Duncan, the art director] said it the other day. 'Is this the first game that doesn't have a skybox?' It's such a weird thing, it's such a techie thing, but that should be our opener: the first game with no skybox." Any planet you discover on your journey is marked on your galactic map, along with its name, its atmosphere and what resources you found there. If you choose to, you can then share that information with every other player, uploading it so that it's shared across everyone's galactic map. You'll get credit for discovering it. You'll also, if the materials there are valuable, attract players to come visit. "How it is at the moment, is that you can't die, but you can lose everything…There is no saved game. Your game will be saved, your progress is saved all the time as you go along, but if your ship is destroyed then you go back to a lifepod and you've lost that ship, and that is your everything." "You are not going to boot up the game and find a 15 minute tutorial. You are not going to find a classic RPG structure. 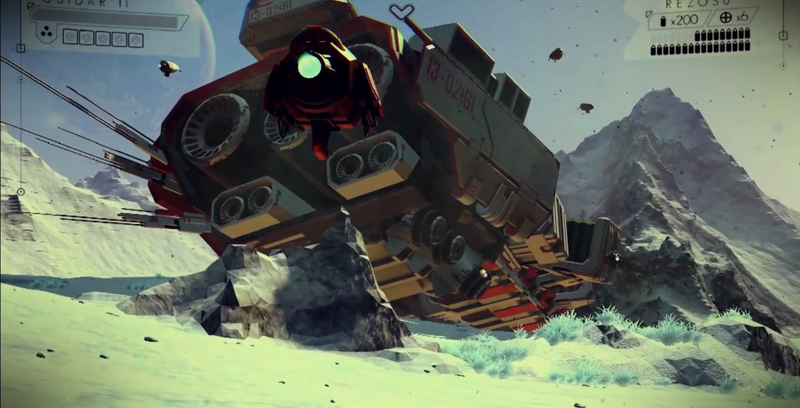 Read through the write-ups and you'll see mentions of how other players will be able to barter or grief each other No Man's Sky's huge unpredictable science-fiction creation. It sounds like each player will have the chance to leave their mark in the shared galaxy, which might be just the most enticing thing about No Man's Sky.